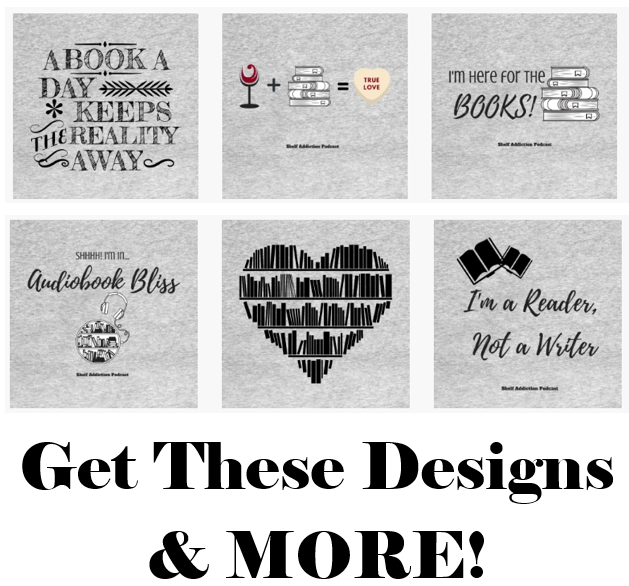 Purchase your favorite original bookish designs from the Shelf Addiction TeeSpring Shop! Ger even more bookish gear, like hoodies, sweaters, mugs, notebooks, and more. All from the Shelf Addiction TeeSpring Shop!